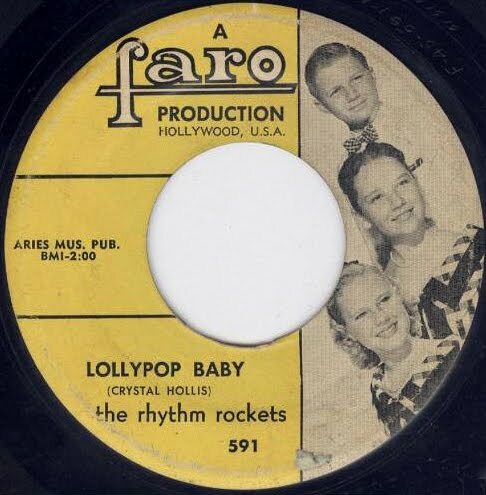 From Downey California, this young vocal trio (2 girls and a guy) and “Do Yourself A Favor” their original composition was enough to entice record producer, Eddie Davis to take them to Audio Arts Recording Studio in Hollywood, California and release this recording on his Faro Record label in 1959. Eddie also brought in his staff co-producer, Wayne Franklin Corps to assist him with the musical and vocal arrangements. After the release of the record, the group received some local radio airplay and continued to achieve regional success. The Rhythm Rockets also appeared at many high schools and colleges as well as private events in the Southern California area promoting their record for Faro Production and Associated Talent Enterprises. They received their start at the Georgia Massey's School of Song and Dance in the San Fernando Valley. 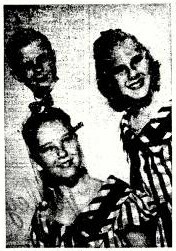 Mary Lee and Sheri were 12 years, and Danny was 14 years old.